We are counted in the list of prominent Leica Disto X310 LDM suppliers and exporters. We are offering this highly precise instrument which is highly demanded in several industries for the purpose of measuring the instrument. 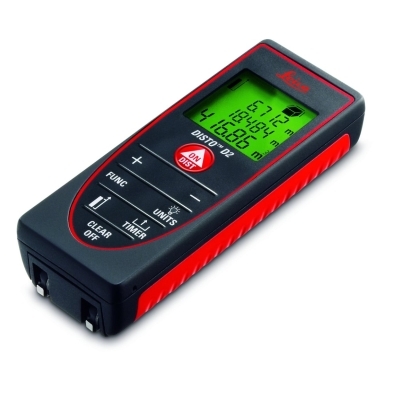 Our range is equipped with laser module, a backlit LCD display, a tilt sensor, and a ruggedized chassis. Moreover, this range is equipped with state of the art technology to ensure that it provides highly accurate reading. Prior to launch in the market, our competent team has thoroughly tested this instrument. This helps in providing the best quality product at best rate. We are capable of entertaining bulk requisites of the clients. They are requested to send us enquiry related to the product. We are offering our range at competitive rates.